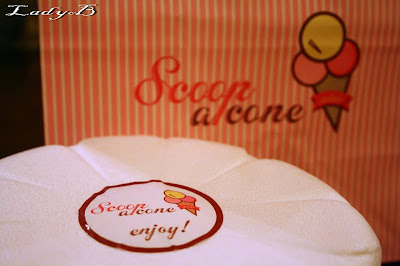 Few days ago I recieved a lovely treat from Scoop A Cone, neatly packaged in a flower shape stirofoam container . 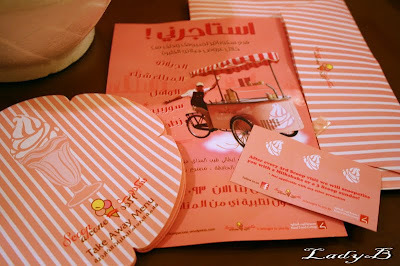 Along with a loyalty card, take away menu and a leaflet featuring some of the latest features catered by Scoop A cone ! 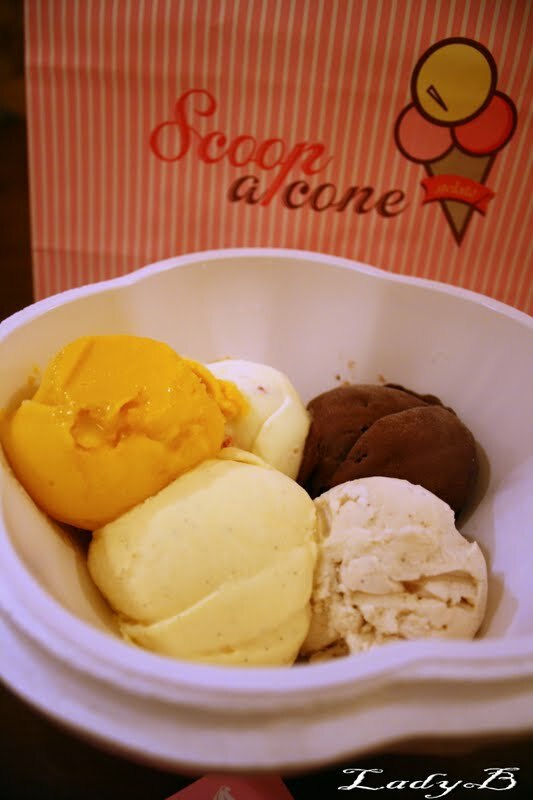 Five scoops of gelato heaven, chocolate, vanilla, cheesecake, mango & a flavour I couldn't put a finger one had a very distinctive cinammony taste though ! Loved the cheesecake and ate all of it for myself left the rest to share with the familia on the gathering ! Thanks alot Scoop for the treat , I'm really humbled by your generous gesture !